A new bus terminal will be opened in Independence. The George Murray Bus Terminal besides serving as a hub for the surrounding villages in the banana belt will provide convenience and comfort to commuters and enhance vehicular safety in the community by creating an organised area for buses to pick up and drop off passengers. The project is one of several which have been funded under the Banana Support Programme. The Grand Opening Ceremony for the George Murray Bus Terminal was organised on Monday 16th December between 3:00 and 5:00 PM at the new facility. 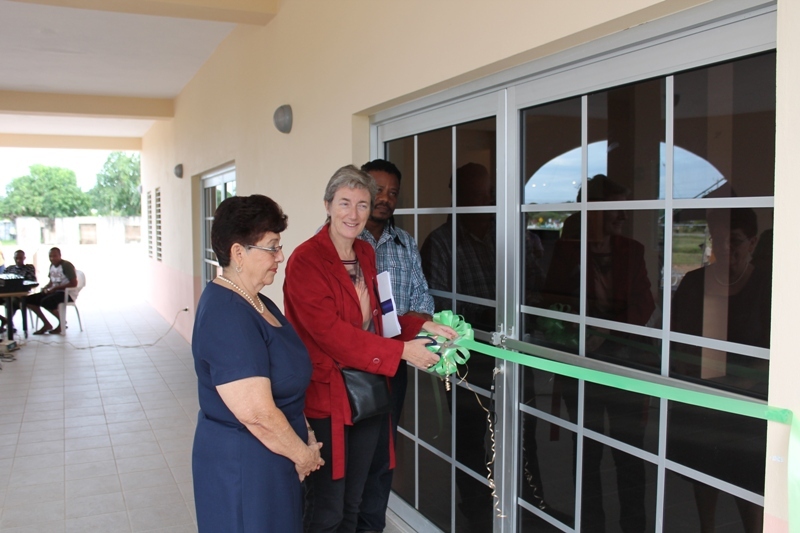 It will be attended by Head of the Delegation of the European Union to Belize Ambassador Paola Amadei, the Minister of State in the Ministry of Finance and Economic Development, senior officials of the Ministry of Works and the Ministry of Rural Development, as well as Area Representatives, the officials of the Village Council, special guests and other representatives from various groups and organisations. The George Murray Bus Terminal features paved driveways, a paved parking lot and bays for 4 busses to dock at any one time. The building has bathroom facilities, office accommodation for the Transport Department, a ticket booth as well as a cafeteria to sell food and refreshments. The large parking lot is also expected to double when needed as a market or used for other specific events. The Ministry of Works and Transport, through its Project Execution Unit, was in charge of the supervision of the George Murray Bus Terminal construction contract. The bus terminal in Independence is being named in honour of the late Mr. George Murray, a former Chairman of the Independence Village Council, who was instrumental in pushing to get the terminal project designed and funded. 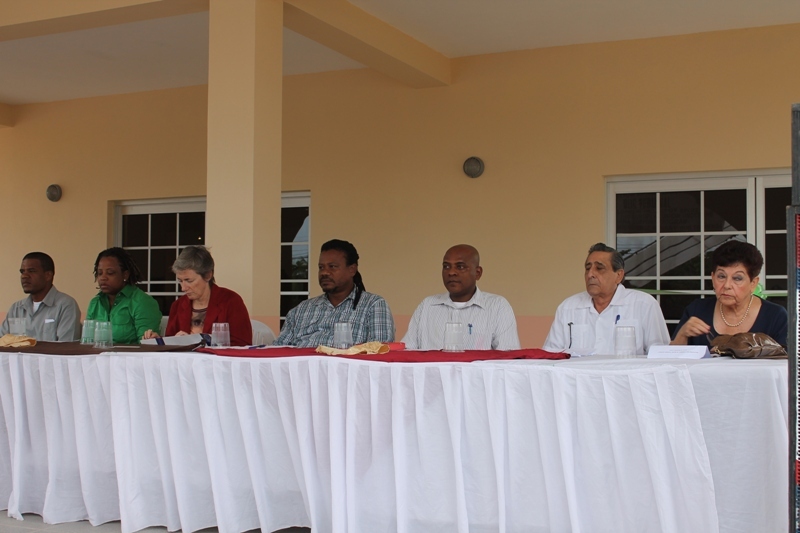 The Banana Support Programme through the Special Framework of Assistance was a ten year (1999 to 2008) broad-based rural development initiative funded by the European Union and the Government of Belize that was implemented by the National Authorising Office in the Ministry of Economic Development and the Ministry of Agriculture. The aim of the project was to promote the efficiency and competitiveness of the banana industry, thereby ensuring economic growth and simultaneously reducing the incidence of poverty in the rural communities of the banana-producing areas of Belize. In order to achieve this goal, numerous activities were taken over the period from 1999 to about the middle of 2013. These projects included the improvement to drainage and irrigation in the banana farms, the supply of disease-free tissue culture plants to the banana industry, cold storage facilities, technical assistance in the areas of disease management, nutrition, marketing, the building of primary, secondary and tertiary school facilities with equipment, clinics, potable water systems and electrification of communities, both secondary and primary teacher education projects and the building of a bus terminal in the village of Independence. 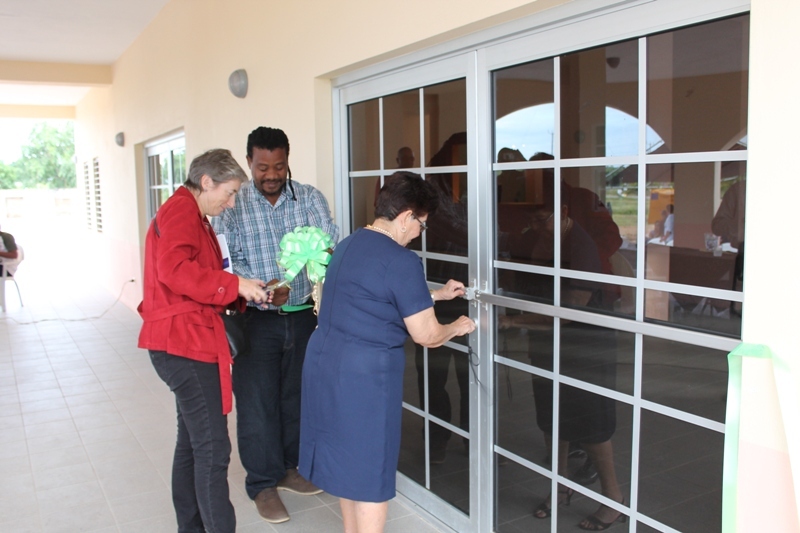 This Grand Opening Ceremony for the George Murray Bus Terminal was done together with the ground breaking for the Independence Market, another European Union project being funded under the Belize Rural Development Project II. Details of this market ground breaking are featured in a separate simultaneous press release.